A few weeks ago, a friend and I went to California’s own Dutch town, Solvang to attend their Taste of Solvang Walking Smorgasbord. It was fun walking around Solvang and to check out the food tastings at various locations. Oddly, the tour didn’t fill us up. Since we were still famished, we headed to my favorite restaurant in town. Why? Because, the All You Can Eat Smorgasbord buffet at The Red Viking Restaurant is just one of those things to do in Solvang before heading back to Los Angeles. There were many selections of traditional Dutch side dishes and salads including my favorites, cauliflower with curry sauce, creamed peas and carrots, and the pickled cucumbers. Also, there’s a nice selection of Danish cheeses and cold cuts to make open faced sandwiches with the fresh baked breads from the local Danish Bakeries. I really like the thin sliced rye bread, because it tastes the best with the Liver Pate that sort of looks like a meatloaf. I also adore the Danish sausages that is a typical staple of the lunch and dinner smogasbord buffet. Since we came for dinner, they add a full slab of roast beef that you can carve yourself. However, the highlight of the smorgasbord really is The Red Viking’s own Swedish Meatballs. 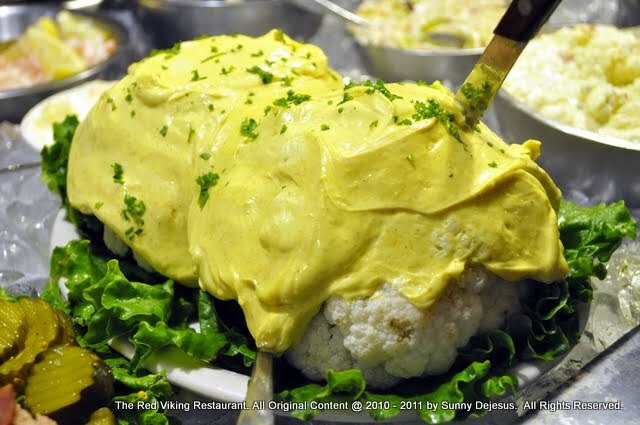 After decades of dining in Solvang, California…I still believe that The Red Viking Restaurant makes the best Swedish Meatballs. What makes it the best is the brown gravy. It’s the tastiest among the rest of the Danish restaurants in town. The service is sweet and friendly yet slow when the crowd of tourists rushes in. 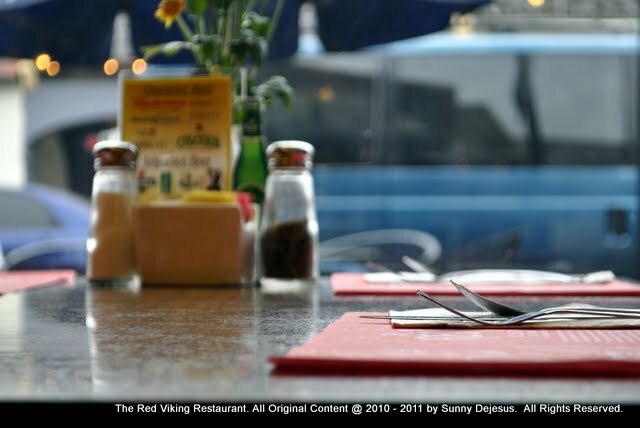 It’s a popular joint, so expect a line out the door to dine at The Red Viking Restaurant. If you can, try to avoid the lunch time rush by doing what I do, which is dining at the start of dinner (4:30PM). A little peacefulness helps you concentrate on appreciating the food. Well, at least it does for me. Enjoy!